US President Donald Trump and his administration are making moves to strip millions of Palestinians of their refugee status, according to a US-based magazine report. As part of the initiative, the Republican president along with his son-in-law and senior adviser, Jared Kushner, have been trying to disrupt the UN agency for Palestinians, UNRWA, Foreign Policy (FP) magazine revealed in an article published on Friday. In a controversial move in January, the US government announced that it was withholding $65m of a planned $125m funding instalment to the relief agency, after Trump accused the Palestinians of being ungrateful for the millions of dollars in aid. “This [agency] perpetuates a status quo, is corrupt, inefficient and doesn’t help peace,” he reportedly wrote in an email dated January 11 and addressed to several senior US officials. 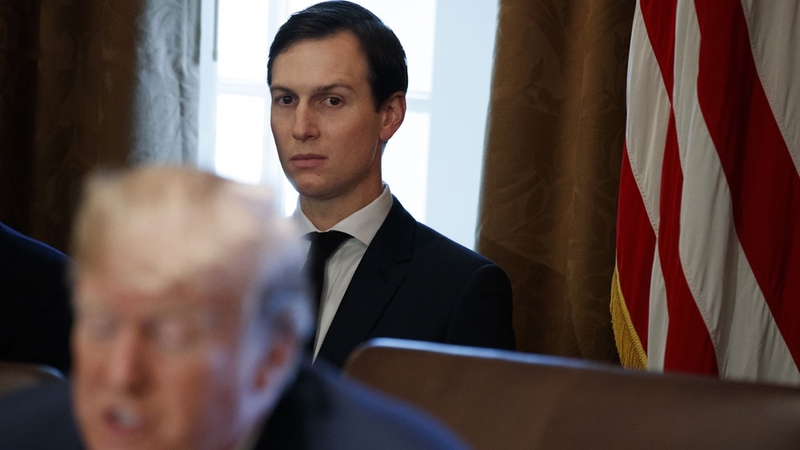 Palestinian officials told FP that Kushner – tasked with reviving the stalled Israeli-Palestinian peace process – allegedly pressed Jordan to strip more than two million Palestinians of their refugee status, so the UNRWA would no longer have to operate there. The White House declined to comment on the record for FP’s story. The report also mentioned two bills in the US Congress that try to redirect more funding away from UNRWA, and significantly reduce the number of Palestinian refugees eligible for US aid. Those steps are all reportedly part of Kushner’s so-called “deal of the century” to resolve the Israeli-Palestinian conflict. In a statement to Al Jazeera, UNRWA, said: “We cannot comment on the so-called ‘deal of the century’ as we do not know definitively any details about it. “The [UN] General Assembly has mandated us to continue delivering services until there is a just and durable solution to the conflict and we are determined to do that to the best of our ability,” it added. In June, the UN called on member states to fill the critical funding gap caused by the US government’s aid cut. According to UN officials, the US – previously UNRWA’s top donor – provided $364m to the agency last year, but only $60m this year. Pierre Krahenbuhl, UNRWA’s commissioner-general, has said that the cuts made by the Trump administration are endangering basic services, including food assistance in the besieged Gaza Strip, as well as medical clinics and education services to about half a million children. According to Nabil Sha’ath, senior adviser to Palestinian President Mahmoud Abbas, efforts are now being made to get alternative funding. “We have already started a campaign to finance UNRWA from other sources,” he told Al Jazeera in an interview from Ramallah. “We have now more support coming from Qatar, Saudi Arabia, Kuwait and other Gulf countries – also from Japan, Belgium, Luxembourg and other countries. Commenting on the Kushner-led US efforts in the region, Sha’ath said: “There is no … deal of the century – a deal is something that two parties agree to, offering something and getting something. “There is simply a total support of the right-wing government of Israel, the Zionist plan for settlements and the total destruction of the peace process that was signed in the US in 1993,” he added.